Flying shoes may be just around the corner, as research released today by Sony Mobile reveals that 62% of children expect these by 2037, and 22% predicting that they could become a reality in just five years. 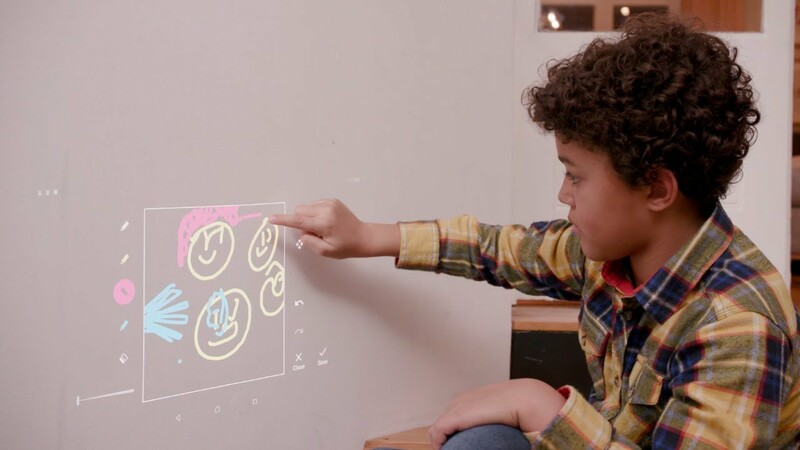 The research, conducted for Sony Mobile’s Xperia Touch projector, explores the vivid imagination of 6-12 year olds globally, comparing their fun and advanced expectations of the future to that of their parents. 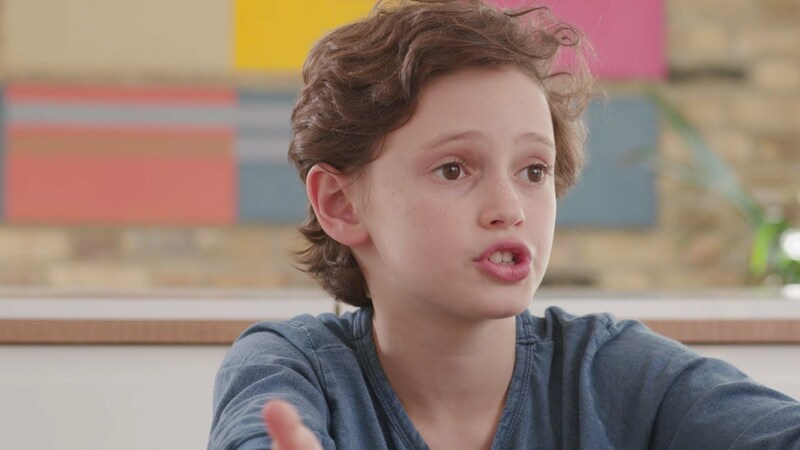 Having grown up in a generation where anything seems possible, it’s the creative expectations of these children that best describes the product’s advanced technology. Will we be able to communicate with our pets in the future? Apparently so, with 63% of children dreaming up a reality where technology lets us speak to and understand our pets. 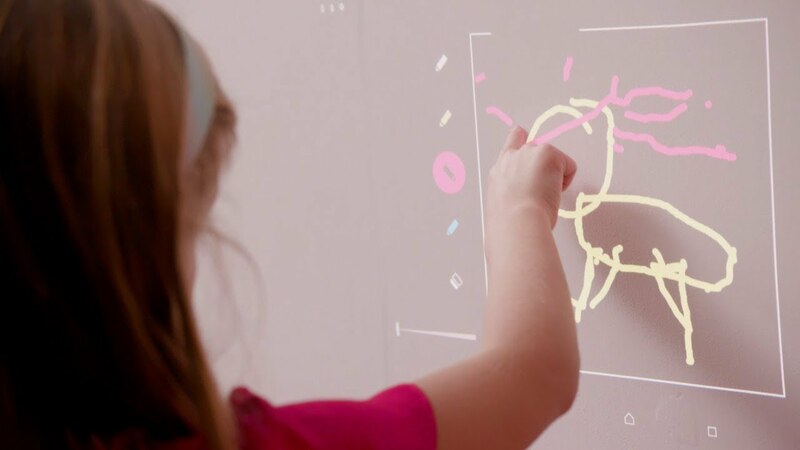 With no limits on their vivid imagination, 65% of children expect to be able to see through walls by 2037, and 55% believe we’ll be able to read each other’s minds. Parents on the other hand have a different outlook on the future, and think some technologies are too far-fetched to become a reality. Around half think teleportation (51%) and invisibility cloaks (49%) could never be a possibility. To back up the research findings, Sony Mobile enlisted the help of six small experts, who were put through their paces when interviewed about what the future holds. A separate planet for work, octopus pets and teleportation to a holiday destination were some of the predictions, with these innocent answers captured on camera. 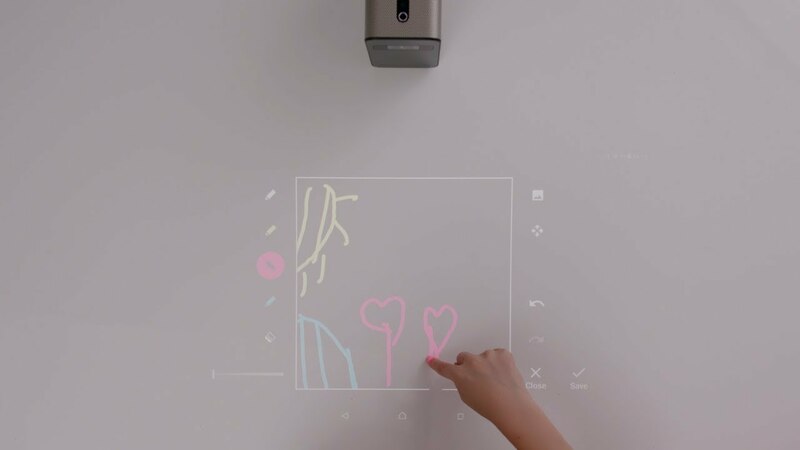 “Xperia Touch is a flagship smart device that can transform any surface into an interactive screen, bringing a glimpse of the future into the home or office. Dr Ian Pearson comments, “As Arthur C Clarke once observed, a sufficiently advanced technology is indistinguishable from magic, and kids have grown up in a Harry Potter culture surrounded by tech that does seemingly magical things, so it’s not unreasonable to expect them to think anything at all is possible. The way children use technology is ever evolving, with 90% of parents in agreement that it has had a positive impact on their children. 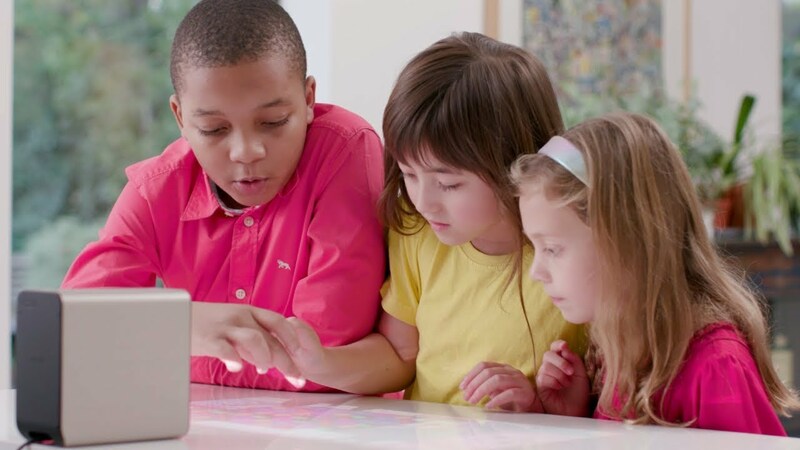 72% believe that technology and smart products have helped enhance their child’s imagination. Xperia Touch is an interactive projector that can transform any surface into a HD touch screen, recently receiving the Good Design Gold Award. 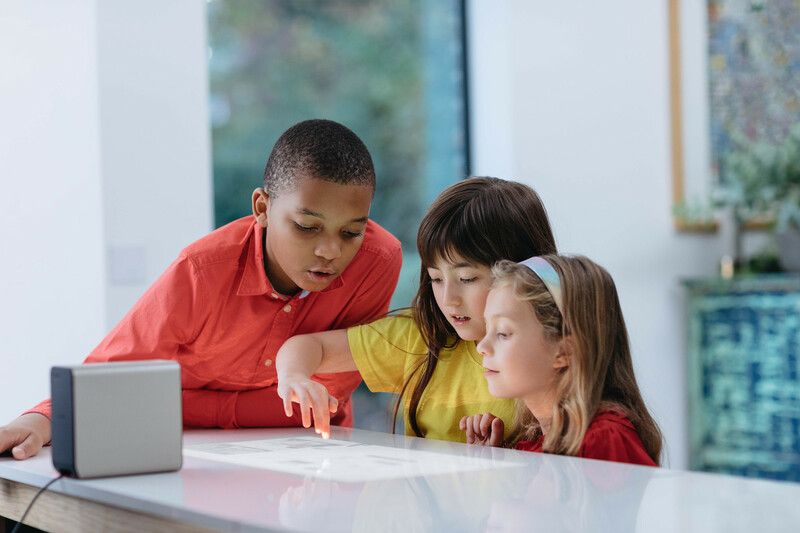 Displaying up to 80” vertically, Xperia Touch introduces a more collaborative experience for users, bringing communication, games and entertainment to life. Xperia Touch is available now at select retailers and the Xperia Store Online. Sony Mobile Communications commissioned the research. The research was carried out by market research company Census Wide, surveying a total of 6,000 respondents across US, UK, Taiwan, China, France, Spain, Germany. Ian Pearson is a full time futurologist, tracking and predicting developments across a wide range of technology, business, society, politics and the environment. He is a Maths and Physics graduate, a Doctor of Science, and has worked in numerous branches of engineering, from aeronautics to cybernetics, sustainable transport to electronic cosmetics. His 1850+ inventions include text messaging, active skin and the active contact lens. He was BT’s full-time futurologist from 1991 to 2007 and now runs Futurizon, a small futures institute. He writes, lectures and consults globally on all aspects of the technology-driven future. He has written several books and made over 750 TV and radio appearances. He is a Chartered Fellow of the British Computer Society and a Fellow of the World Academy of Art and Science and the World Innovation Foundation. Legal: 1) Facts and features may vary depending on local variant. 2) Operational times are affected by network preferences, type of SIM card, connected accessories and various activities e.g. playing games. Kit contents and colour options may differ from market to market. The full range of accessories may not be available in every market. 3) Icons displayed are for illustrative purposes only. The homescreen may appear different in your product. Some features may not be available in your country or area.